So unless you can guarantee that you’ll never fail again, consider developing mojo resiliency using the secrets of human biology. 1. Be Kind. Said another way, oxytocin. Being kind and compassionate to others is scientifically proven to make you feel great. But there is a biological reason for that wonderful feeling. The human species has evolved using a cooperative structure, and to keep us cooperating and, therefore, surviving (especially in difficult situations like child rearing, mutual defense, hunting, etc.) Mother Nature devised an ingenious way to rewards us; a shot of oxytocin, which is responsible for creating the feelings of love, friendship and connection. The person helping, the person being helped and other people watching the act of kindness all receive shots of oxytocin. Love and kindness are actually contagious. 2. Be about Team. Said another way, serotonin. Regardless of your role in life, anyone can find a way to encourage those around them. Whether you are a coach, parent, student, boss or some combination of these roles, chances are you motivate people on a daily basis. As humans, we like to receive praise and recognition for our accomplishments. When we are encouraged, especially by people we respect, we are motivated to keep working hard. Thanks to a release of serotonin, we receive positive feelings of confidence and pride after both recognizing and being recognized for our good deeds and hard work. Seeing people complete these tasks and carry out their accomplishments also releases serotonin. In order to keep your mojo intact, be a team player by positively encouraging the people around you. 3. Be Active. Said another way, endorphins. It’s tricky to always find time in your day to exercise. I’ll be the first to admit that every once in a while I can’t bring myself to exercise (especially after a long day). But if we want to protect our mojo, we need to make the time to get that work out in – no matter what. Endorphins are chemicals that are responsible for “runner’s high,” and otherwise useful for masking pain. Our bodies constantly crave these endorphins, seeing as they are essential for our survival (i.e., keep hunting, keep working on protective shelter, keep looking for water, etc.) and give us a relaxed feeling as a reward. Exercising and completing other physical activities are the most common ways our bodies produce endorphins. Just get out there and do something physical every day. Your body and your mojo will thank you for the effort. Looking like a million bucks doesn’t hurt either, let’s be honest. 4. Be Goal Oriented. Said another way, dopamine. The goals you make on a daily basis do not always have to be formally formatted or eloquently written. Setting goals can be as simple as making a to-do list for your workday or even jotting down a quick grocery list of dinner ingredients. Personally, like a good financial portfolio, I believe in “goal diversification.” Set some easy ones that you know you can attain but also some more challenging ones that are within your abilities but more longer term in nature (i.e., a month or two). Of course, there are the big ones that are just going to be hard to achieve and will likely take more time. Consider further breaking down harder goals into their component parts or “mile stones” so that you can better regulate your dopamine dose and its regularity, so to speak. Accomplishing goals on a regular basis will reward you with that special “yes!” feeling that is just so satisfying. Do celebrate your successes and embrace yourself for a job well done. When others recognize your hard work and accomplishments, you may get a little serotonin and oxytocin for your accomplishements to boot! Mother Nature has instilled in each of us all the mood altering drugs we’ll ever need. All we have to do is be mindful of our lives and disciplined in how we live them. Simply by being kind, generous, physically active and disciplined we can both protect our mojo and live rich and meaningful lives. Life really is beautiful. From the perspective of a quality, passive candidate, assessment tests are obnoxious. Now, how long do you think it would take for that quality person to get up and walk out of the restaurant after that kind of statement? Exactly. Most of the time, high-quality candidates know what they have to offer an organization and often don’t accept the premise that somehow they are lucky to be interviewing with your company -- no matter how great you believe your company is. It amazes me how deeply leadership candidates will connect with the concept of humility when they are on the job market and also how quickly they forget it when they are employed and on the other side of the interview table in their roles as HR leaders or hiring managers. If I had to take an educated guess as to why that is, it would be about the types of candidates most organizations usually interview – candidates that need a job (i.e., “active candidates”). Active candidates typically communicate differently with perspective employers during the interview process than those that are not actively on the job market, much like a perspective suiter looking for, say for example, a new spouse with cash. With most active candidates working hard to impress, many quality organizations can get used to feeling sort of “superior.” And like celebrities and the uber wealthy, these companies often times get away with being organizationally arrogant in their “dating” process. The result? Shallow candidate pool. Compromise hires. Lack-luster productivity and moral. Higher turnover. Alas, assessment tests are great tools in the hiring process. Am I suggesting abandoning them? No. What I am suggesting, however, is to more carefully consider the timing of when the assessment test is introduced in the process. Don’t make it part of the initial screening process. Instead, consider waiting until the interview process has yielded positive impressions for both your organization and the candidate. To use the dating metaphor again, wait until after the second or even third date. At later stages of the interview process, most quality candidates understand the opportunity more fully and are interested in continuing the process for all the right reasons. An interested candidate is always much more willing to do what is reasonable to prove they are up to the task in order to land an opportunity seen as personally and professionally advantageous. “Wait,” you say, “most candidates have no idea we do these assessments until they arrive at the first interview. At that point we have them so why waste the time with the interview if they don’t measure up on the test?” Well, you may physically have them in your HR office and they may even take your test, but in the limbic, decision-making part of their brains – an area incapable of expressing language – most candidates leave those assessment test meetings feeling sort of “exposed” and generally turned-off. Perhaps that’s par for the course for an active candidate who needs the job and has no good choices but to acquiesce to an organization’s hiring process, but our experience is that assessment tests during initial interview rounds are a definite buzz-kill for a high-quality, passive candidate with choices. Those are the candidates -- the ones that are attracted to your opportunity on the merits despite their other good choices -- that often make the best hires. So if you want a second and third “date” with the best candidates out there, an emotionally intelligent interview process is the right way to go. Save the assessment test until your confident you've got “Mr. or Mrs. Right” and you’re confident your candidate feels the same way. If you’re like me, you never miss an opportunity to hunker down with the people you love to watch “It’s A Wonderful Life” when the holidays roll around. Maybe you’ve wondered whether your friends and business associates would come to your aid if the proverbial bank examiners were at your door. Maybe you've considered what the world would be like if you had never been born, and wondered if you've really had a positive impact during your time on this earth. The film reminds us all of how powerful simple kindness can be in making our own lives truly meaningful. It also reminds us of how wonderful life can be when our social connections are rich and authentic; when people care for and help support one another intimately, especially during life's most difficult times. 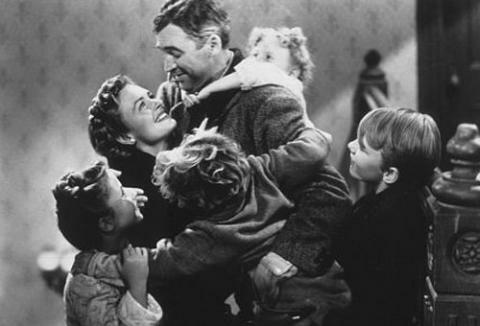 It’s A Wonderful Life is an iconic film because it reminds us of what true success really looks like. Warm and fuzzy stuff aside, with whom would you rather do business, George Bailey or Henry Potter? Exactly. In the wake of the Sandy Hook School shooting and similar acts of mass violence like the recent church shooting in Charleston, South Carolina, many of us in Newtown, CT have asked ourselves what we can do to help address the root cause of violence in our communities. The answer may very well lie in the scientifically proven benefits of enhanced social emotional learning (SEL) skills in our children and young adults. But how do we get past the “oh, that’s nice” reaction that most people feel when considering these initiatives and get to a place of sustained effort that yields the kind of results that make a real difference in our culture? The answer lies in corporate America’s conscious realization that you’d rather do business with George Bailey -- 100% of the time. Connecticut Governor Dan Malloy proclaimed June 28th through July 5th as Social and Emotional Learning Awareness Week. This exciting news comes as a result of the tireless efforts of Scarlett Lewis -- the mother of Jessie Lewis who was killed in the Sandy Hook School shooting -- in promoting “Nurturing, Healing, Love” as well as practicing gratitude and compassion. Scarlett Lewis and The Jessie Lewis Choose Love Foundation are not alone in this unwavering quest to make a difference in the wake of acts of mass violence. The Avielle Foundation, founded by Jeremy Richman, PhD and Jennifer Hensel, MS -- the parents of Avielle Richman who was also killed at Sandy Hook School -- has launched The Spark Project to teach these skills on a community-wide basis and to incentivize this learning with academic scholarship and mentoring opportunities involving high-level corporate executives. So if you are a warm-hearted, socially conscious corporate executive who sometimes finds yourself wondering when “they” are going to do something about all this craziness in the world, I invite you to help support this important effort by mentoring one of our up-and-coming George Baileys. We'll do the heavy lifting. We'll train the kids with the SEL skills. You'll help make them sharper when the time is right. From the perspective of a mentored young adult, think of it as being a young baseball pitcher and having Mariano Rivera as a good friend. Sort of gets the juices flowing, right? In the end, you will never have to wonder what your world would have been like had you never been born. The emotionally intelligent young adult we’ll pair you up with will eventually show you the legacy of your kindness through the kind acts performed across a lifetime. 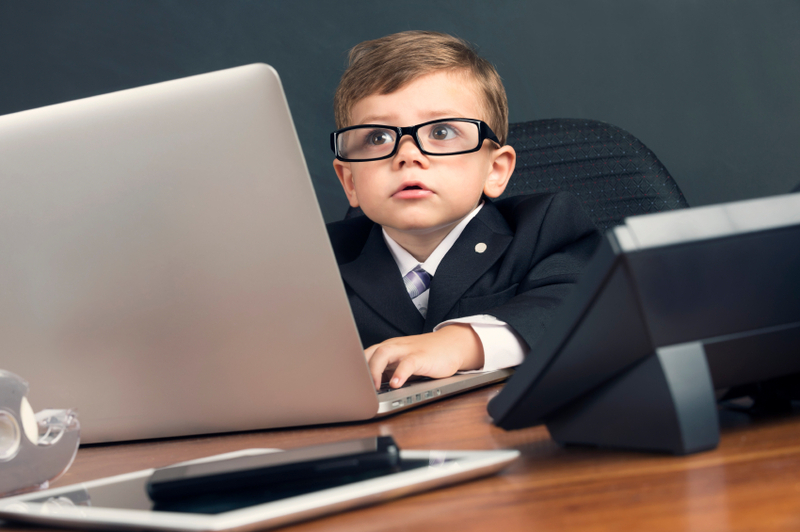 He or she may someday become one of the greatest leadership talent acquisitions your organization has ever made. And who knows? Your kid might just end up being your "Clarence" -- helping to save you in the process. Learn more about The Spark Project by contacting Robert Accomando through LinkedIn or at rob.accomando@aviellefoundation.org. Tomorrow's corporate leaders might just come from Sandy Hook, CT, where the community is joining together to teach compassionate leadership skills on a community-wide basis. What if an entire community collaborated in teaching compassionate leadership skills to children, young adults and families? I am talking about emotional intelligence on a town-wide scale. What if we measured our efforts in an affordable yet evidence-based way to inform the improvement of this collaborative effort year after year? Now scale that up – what if communities successful in developing these skills taught struggling communities how to do it themselves all across America? Imagine what that would mean for the quality of our future corporate and government leaders. Imagine what that could mean for the safety and well-being of our most precious assets -- our children. In Sandy Hook, CT, after losing 20 first graders and six of their educators to a socially isolated and highly anxious neighborhood kid, we have imagined. The idea is called The Spark Project and it is happening. Spark was an evolution of several ideas, conversations and experiences stemming from the 2012 Sandy Hook School shooting, all focusing on how to best address root cause of violence in broad-based, sustainable ways. Several of us dads in Sandy Hook, CT had a unique experience as part of the Newtown Youth Wrestling Association community with a teenaged wrestler and mentor, Jack Wellman. Jack overcame his own personal sadness experienced after suffering a serious sports related injury in the Fall of 2012 (a feeling exacerbated by the school shooting) by helping coach and connect with young children through the sport of wrestling. Jack’s story was amazing to watch for those of us fortunate enough to experience the first-hand effect he had on our kids. However, the universality of the simple message conveyed and the value of the skills he effortlessly employed was inspiring to others as well, and earned him Sports Illustrated’s Sports Kid of the Year Award. Importantly, it was Jack’s empathetic leadership and social-emotional skills that made him such an incredibly effective peer mentor. His ability to connect with others – both children and adults -- recalled a day when children were not so tied to their electronic devices and seemingly had a more acute sense of others’ emotions and how to interact with gentle self-confidence and compassion; how to build and maintain trust. We thought, if there were more kids with Jack’s skills focused on connecting with other children in the community, especially kids that are more socially isolated, there would be far fewer events of violence to self and others. We also thought if we could teach these same skills in an effective and sustainable way to all the good people in our community who were already devoting their time and energy to our kids on a volunteer basis – coaches, mentors, etc. – and dovetail that instruction with similar efforts in our schools, religious institutions and other community organizations, we would have a far more profound positive effect on our children and community. The idea of teaching these skills to children on a community-wide basis was shared with Jeremy Richman, PhD, founder of The Avielle Foundation, and father of Avielle Richman who lost her life at Sandy Hook School. We quickly realized that the idea was completely congruent with much of the latest research on brain health, which suggests that “protective factors” such as self-mastery (i.e., developed executive control, high self-esteem, empathy, collaborative skills, etc.) and the ability to develop and maintain heathy, supportive relationships are critical to maintaining brain health and thus would help prevent violence to self and others. According to Richman, "the application of these insights to prevent aggression and violence is the next step, and community engagement is essential." Simply put, this is what getting to root cause looks like, and it really does “take a village” if we intend to do it right. Recognizing the potential upside of having a deep, emotionally intelligent talent pool to draw from, Spark Project leaders are connecting with Fortune 500 executives and the best universities and colleges nationwide to partner in this mission. Companies and colleges are being tapped to provide employment opportunity and scholarship to those who not only excel in empathetic leadership skills but also spearhead initiatives using these skills that make a positive impact on the community, especially in the area of social inclusion and compassionate leadership. Parents will soon look at their children’s good deeds and warm hearts as a potential “ticket to ride.” When that happens, we will change the world. And, indeed, we must. For more information about how your organization or university can partner with The Spark Project, connect with Robert Accomando, Spark Program Director on LinkedIn. Employee turnover in healthcare is a chronic problem affecting patient care and healthcare costs. According to American Society for Healthcare Human Resources Administration (ASHHRA) fifth annual HR Initiatives Survey, the loss of a single healthcare worker costs organizations the employee’s first year’s salary. 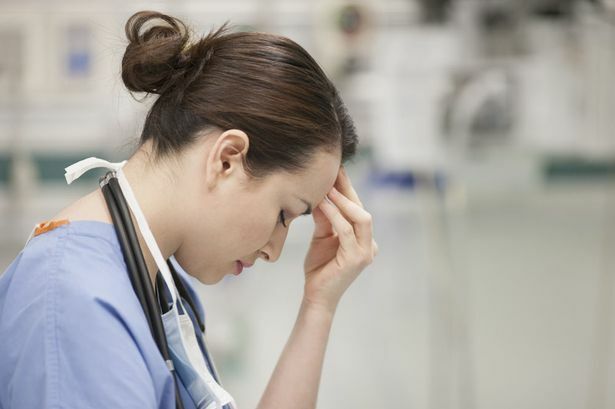 So why do healthcare workers leave their employers? More importantly, how can you get them to stay? As a seasoned leadership recruiter I have literally chatted with thousands of healthcare professionals in my many quests to find the ideal candidate for my healthcare clients. Most of the time it's about timing. Catch a great professional at the right time -- a moment of growing frustration or career anxiety -- and most will listen carefully to the opportunity I am presenting. But sometimes there are candidates who just won't consider making a career move no matter what. Even when the money would be a significant step-up. Why, you ask? 1. Work / Life Balance. Life is not linear - not for anyone. Child care, auto repairs, dance recitals, dentist appointments, baseball games, caring for ailing parents or a spouse; life happens. Good leaders in good organizations find a way to give their good employees the flexibility to help them manage some of their competing priorities. Yes, I know that there is work to be done. But some flexibility has to be baked into the cake. It just does. Great leaders and great organizations find a way. 2. Great Leadership. Great leaders have something more than intelligence and technical skills. There is humility to them. They are disarming. Approachable. They nurture and delight in the success of others. Their passion is evident in their uncompromising commitment to beauty of their vision. The loyalty, commitment and excellence they inspire in others are the earned results of their character. True leaders serve. Turns out that when you work for a great leader, it's really hard to leave. So always hire the best leaders you can, and when you have them move mountains to keep them happy. 3. Respect. Organizations that employ shared governance generally enjoy higher retention rates. For a healthcare professional, having a real ability to influence the decision making process lays the foundation for converting an employee to an engaged stakeholder. When you couple having a seat at the table with true personal and professional respect for the ideas and insight offered by your team, you have the building blocks of loyalty. 4. Succession Planning. 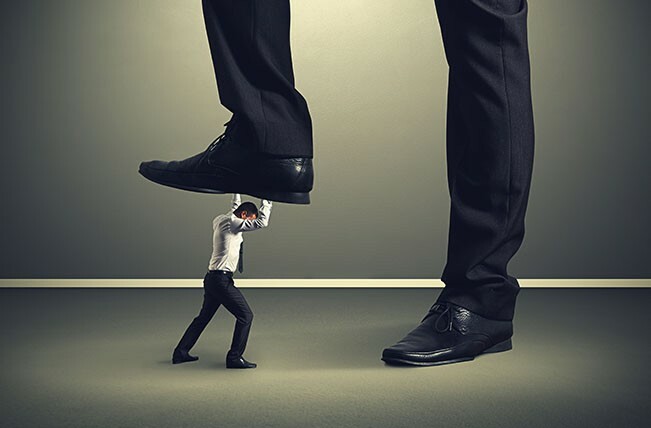 The one question that seems to always put a chink in the employee loyalty armor is, "So tell me, what has your supervisor discussed with you as far as next steps in your career in your current organization?" Most of the time, I get a long pause followed by, "uh, we really haven't discussed it." Leaders need to dream openly about how they intend to help grow the careers of those that they lead. As Jack Welch, former CEO of GE, once said, "Before you are a leader, success is all about growing yourself. When you become a leader, success is all about growing others." 5. Connection. "I love everyone I work with. I hope I am lucky enough to retire here." Once I hear that, I know I need to get to my next call. What the bean counters always miss as they calculate quarterly revenue goals is the human connection needed to sustain human hardship. We are all hard-wired with a longing for connection, belonging and safety, and when we get what we need from our pack, our bodies reward us with powerful feelings of pride, loyalty and love (a/k/a, dopamine, serotonin and oxytocin). Treat employees like you love them, and they will love you back. They will also love those you serve - your patients. That's not hippie talk. It's science. And for you bean counters out there, there's hope. You just need to change your perspective. Consider these reasons people leave and you will find that in the long run, your healthcare organization will not only earn a lot more and spend a lot less, but improve patient satisfaction and clinical outcomes as well. It's about smart and compassionate leadership. It’s about Heart. When candidates talk about even their most menial roles and functions with pride in the context of patient care delivery, take notice. There is nothing like a healthcare professional that is naturally wired for compassion. Moreover, there is no incentive package in the world that can compare to the ingrained ability to convey heartfelt humanity. Listen for a consistent track record of good deeds and hire good-hearted people at every level of your organization, always. It’s about Communication. Perception is reality. A candidate can be clinically superior, highly organized, detail oriented, etc., but unable to effectively adapt their communication style and timing to different circumstances and audiences. The end result is that patients and interdisciplinary team members will view that individual as ineffective, disconnected or worse. Ask for examples that evidence a communication style that is effective in all types of circumstances and don’t ignore what your own eyes and ears tell you about the candidate. It’s about Shared Values. A candidate can have a big heart, be able to communicate effectively with all kinds of people, but consistently fall short because they can’t manage all the details in priority order. “Engagement” is the compass that guides how an employee decides which priorities need to be addressed first when time is in short supply. It is that ability to connect with the organization’s mission that will yield the greatest success for the organization in actually meeting its goals over the long term. Listen for examples of how the candidate has made decisions between competing values and decide whether your organization’s core values are consistently held in the candidate’s highest regard. Natural and inherent alignments between your organization’s core values and those of the candidate will consistently yield the patient-centered results you are after. That’s not the same question as, “can I see myself becoming friends with this person?” or “do I personally like this person?” This is not about being friends. “Fit” is about having a clear concept of what “kind” of person would likely do well in the role, considering what this person will be required to do and who that person will likely be doing it with. Be Enthusiastic! If you have done your homework before your first interview, you should have a pretty good idea as to why the opportunity would be professionally exciting for you. Don’t be afraid to show it! Employers want to hire those individuals who want them. Your enthusiasm during the interview sends a clear message: “I think this is a great organization, and I really want to be on your team! I will be a pleasure to work with because I will come to work each day with a smile on my face, happy to be here.” Even if you do not have all perfect experience for the role you are interviewing for, it is likely that your positive disposition and enthusiasm for the institution will cause them to remember you for alternate or future positions. Smile. Next time you are greeted warmly by someone with a smile, try to notice your initial impression of that individual. Similarly, next time you are greeted by someone with a frown, try notice the difference in how you perceive the individual. If you are like most professional people, you have already made the following observation: people who smile when greeting others for the first time, at the close of a meeting are generally viewed as more likable, genuine, trustworthy and even more intelligent. So smile to everyone you meet during the interview, including the receptionist and those entering and leaving any waiting area. You would be surprised at how many people may have a say in deciding whether you are the best candidate for the job, and many times those people are walking in and out of the very office area where the interview is being held. Make a Warm Personal Connection. Certain folks have “the gift.” Others, not so much. Some folks can do it only if their “in the mood.” Others can “turn it on when needed.” Wherever you fit in this general description, during your interview process try to employ that part of yourself that is able to connect with other people on a human level. If something is funny, laugh. If there is an awkward moment, roll with it. If a nice complement is paid, be gracious. If the conversation goes in a less formal direction, embrace it without compromising your professionalism. Most people don’t want to work with an android or someone who is uncomfortable in their own skin, so don’t try too hard. In the end, what will be, will be. Try and just relax and explore. If you decide not to make the job interview the “end of the world,” chances are you will settle in nicely and really connect. Is this person a good “fit” with the rest of my team? The candidate who takes the time to deeply understand these fundamental questions from the interviewer’s perspective will be light years ahead of any candidate who focuses primarily on their own priorities during the interview process. Competency and “fit” speak to the fundamentals – whether you can do the job and will work well with the existing team. Just as important to most quality employers is insight into why you want the job. The “why are you looking?” question is a potential minefield for the unprepared candidate, and its mishandling is the most common reason for employer’s decision to “pass.” Much like at the start of personal relationships, new prospective partners are very interested to understand how the last “relationship” ended to get a sense of what they might be “in for” down the road. “Bad-breakups” are a sure sign to most employers that future employer-employee relationships may be rocky, and most employers will avoid taking such risks. Be prepared to offer concrete examples from your professional past that show you have a track record of success meeting the same or substantially similar challenges your prospective employer is facing. Keep your energy and enthusiasm level high throughout the process. Respond to all related communications promptly and clearly. Nobody wants to hire a dud. Don’t bad mouth past employers or team members. Sometimes things don’t work out. No need to spend a lot of time on it, but what you do say about past employers should be respectful and balanced. No drama. No ambiguous chatter. Just the facts. Try to conclude the related conversation with the positive “take away” that resulted from the employment experience. Follow that simple advice, and your candidacy will likely resonate. If you don’t, it won’t. It’s that simple. Since a lot of what you are going to learn about a job doesn’t happen until the interview stage, and in some cases, not until you’ve been in the role a few months, how does a conscientious candidate prepare to discuss why she is particularly well-suited for the role’s challenges before the first meeting? The answer is preparation, preparation, preparation. 2. Know Your Background. Take the time to carefully review your own resume and actively recall each of your various job functions, titles, related training, merits earned, items of distinction and skills honed throughout your career progression. You will be asked to discuss these details during the interview in the context of how your skills and experience might be used to solve the facility’s current challenges. The time spent remembering those details, and how those skills and experiences are “transferable” to the challenges inherent in the new opportunity, are going to help you confidently communicate to the interviewer that you have a proven track record that shows you can get the job done right. 3. Review The Job Description. This is some of the best time you can spend in preparation for your interview. Within the job description are most of the key aspects of the opportunity that you need to be able to comfortably discuss within the context of your own unique skills and experience. You should be able to easily explain, using actual examples from your professional past, what skills you have mastered or achievements you have earned that show you are technically qualified for the job. Carefully reviewing the job description should also allow you to formulate appropriate questions of the interviewer, which might provide deeper insight about the role and its challenges. This information will, in turn, allow you an opportunity to address how your unique skills and experiences are “transferable” to these additional challenges. What characteristics must I possess to be successful in this role? The answer to this question provides an opportunity to showcase, through your use of concrete examples from your professional past, how those very characteristics were used to solve important problems, and that you have a “track record” of successfully employing those traits. What will be my biggest short term and long term challenge in this role? This question says to the interviewer that you are interested in understanding what it would take to be successful in the role and respects the employer’s need to get the “right person” for the job. The interviewer’s answer to this question will, again, likely provide you an opportunity to show how your skills and experience have been employed in the past to address comparable challenges. Careful and diligent interview preparation will not only foster valuable insight into the role, but will result in increased confidence and a relaxed and attentive demeanor. Additionally, you will benefit from an enhanced ability to communicate a strong link between your professional experience (i.e., what you’ve done) and the role’s critical functions (i.e., what you will be doing if hired). Fail to prepare and you will be leaving it to chance. Bad move.